» Provides MCL support with DonJoy's Four-Points-of-Leverage technology. It reduces strain on your knee ligaments (MCL, ACL, PCL and LCL) by applying pressure on your leg in four places (known as the Four-Points of Leverage Dynamic System), which prevents them from moving beyond their natural range of motion. 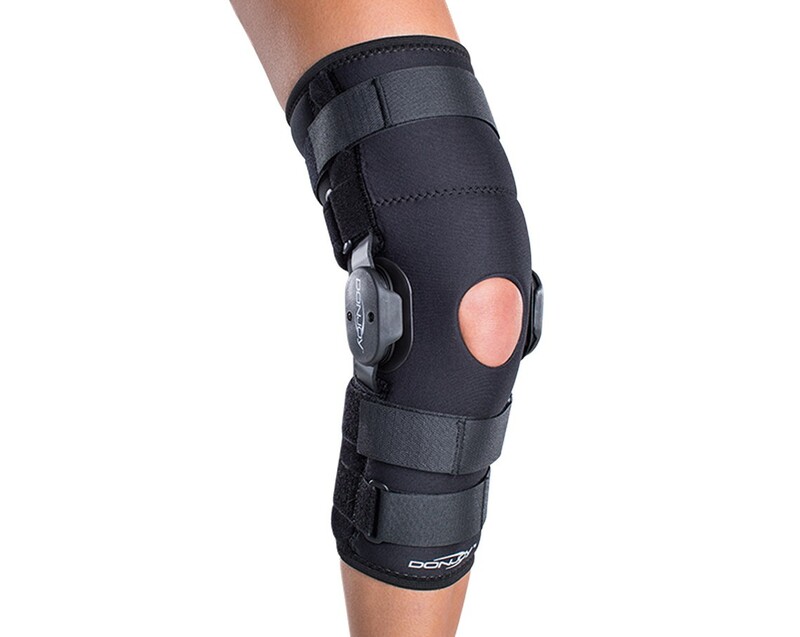 » Provides uninhibited movement with polycentric hinges that conform to your knee's natural motion. » Keeps your knee cool. The Playmaker is made from breathable Drytex fabric, a patented, lightweight material that provides better airflow than neoprene. The MCL (medial collateral ligament) is one of the four major ligaments that provide stability to the knee joint. The MCL connects your femur (thigh bone) to your tibia (shin bone) along the inside of your knee. Sudden force against the outside of the knee joint can cause the MCL to stretch too far, which can lead to tearing and injury. Treatment for MCL tears depends on the severity of the injury. Several weeks of taking a break from activity, icing the knee and performing strengthening exercises will usually allow the area to heal. Surgery is typically only used for the most severe MCL tears. 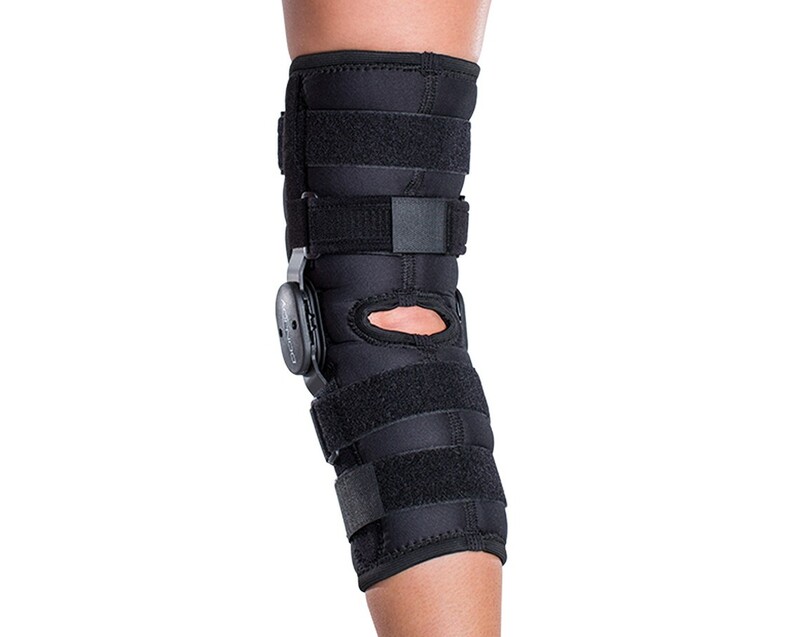 A knee brace for MCL is often recommended to provide additional support and stability, especially if the patient plans on returning to sports. One of the best MCL braces is the DonJoy Playmaker Knee Brace because you can use it for everyday activities or during sports. The strap design of the Playmaker enhances support of the knee joint, which helps prevent MCL injuries and provides stability for a recovering MCL. 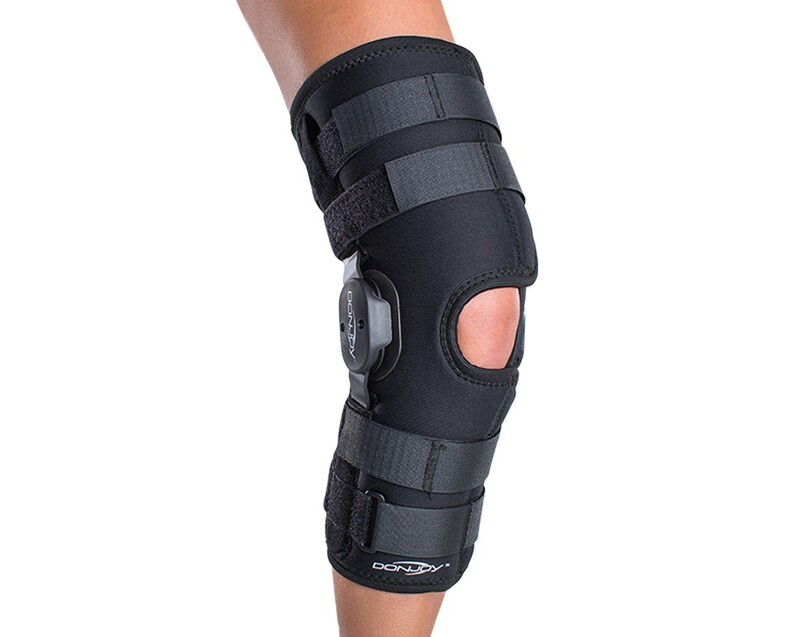 Plus, it's a comfortable knee brace to wear, making it one of the top favorites amongst patients.